Master Canteen Square, Unit-III, Kharavel Nagar, Bhubaneswar. Near New Market, Kolkata – 700013. It is a unique attempt to present the 7 decade long tradition of Bargarh Dhanu Jatra of Odisha. It recreates the historical memories of the epic Indian mythological Story of Dwapara Yuga where the villain is depicted as the protagonist in the world’s largest open air theatre event that presents the reincarnation of the Kansa Maharaja in a unique form. A pride to be showcased in your personal bookshelves, especially for the Art lovers, history explorers, Cultural enthusiast, Artists, Photographers, Theatre performers, Travellers & Tourists. The concept and editing credit line of the publication goes to Mr Nilambar Rath, a passionate media & communication entrepreneur who is associated with various national and regional media concerns. A senior journalist having more than 25 years of active industry association covering print, television and digital media Mr Rath is the Co-founder, Editor-in-Chief and CEO of OdishaLIVE – a new generation media and digital organisation that runs a bouquet of web and social channel. 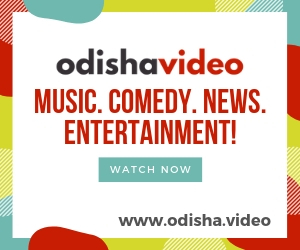 OdishaLIVE is a new age media initiative from Odisha, which creates and curates high quality news and features in the form of Text and Video, since December2011. It offers news and other relevant information in a comprehensive manner and reaches out to the global audience through a bouquet of web and social channels. The News Portal of OdishaLIVE, www.odisha.live, has been empanelled with Information & Public Relations Dept., Govt. of Odisha, under Category-A, as a leading web news media from Odisha. OdishaLIVE also has got a strong social presence and it enjoys a great engagement with Odia folks within and outside Odisha. The YouTube Verified channel, www.youtube.com/odishalive has crossed, 4.5 lakh Subscribers and 9 crore plus lifetime video views. Similarly, the Facebook page, www.facebook.com/odishalive, of the media has reached a Fan base of over 50K. ‘OL Digital’, the media and digital services arm of the company, offers a wide range of services relating to the new generation media and communication.